Contrary to popular belief, the abusive state of affairs in Mary Kay didn’t start with the record breakers in the last decade.These were ladies who figured out where to concentrate their time, and selling skin care wasn’t it. Women like Dacia and other “do it fast” directors and NSDs simply exposed a long term problem. If you want to be enlightened, stay home from unit meetings for 3 weeks. Women who are away from events long enough to lose some of the hype, have a better chance at being restored to sanity. Then take a look at this article. 1. 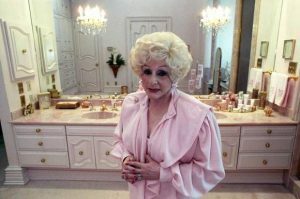 Mary Kay Ash knew and accepted large turnover. She is the one who said, “If you don’t recruit 10 monthly, you are going backwards.” What does that say? If the opportunity was so great, wouldn’t every new recruit add to your numbers? No? So less than 10 means you are losing recruits. So, from now on, you are in a never ending churn of personnel who you get very excited about, but who will quit because success in MK is not as “easy” as they make it appear. Mary Kay knew this from the beginning. 2. You must get an average $1,000 per recruit on start-up inventory. Since so many will not activate at all, and most will come in with something and be gone in 6 to 8 months, you MUST get star orders IMMEDIATELY with whomever has the means or credit. So this business of starting smaller at $600 or multiples of $200 isn’t really going to get you the overall result, is it? Frontloading is a NECESSITY, to make the turnover numbers work. Wonder why you are spinning your wheels? You are probably a more ethical Director who doesn’t take advantage of women outright. 3. Now bringing this up to your NSD will get a great “overcome the objection” response that will sound like, “Every retail company has turnover…” But what is the reality of Mary Kay? What do you think would happen if every company in America lost 50% of its retail sales force every month, as Mary Kay does? How much “skill” would be flushed and wasted? They quit because the promises are not real, and so that is why there is no real reason to train anyone…in anything other than “book, sell, book, recruit” and how to warm stalk new potential leads. UNITS are built on a continuous flushing in and out of personnel, racing ahead of attrition with hopes that you can snag one or two to commit to the car or DIQ, where you can extract another year out of them before they wise up and save their financial picture. The ones like me, who didn’t wise up but were naive enough to believe what my NSD was selling, keep pressing on to MAKE IT to directorship in order to hopefully make enough money to pay down their credit card debt. Since no one knows that this is the hidden reality behind the stage, with probably 90% of all directors, we suffered in silence and ignorance. 4. Since 50% leave, 50% must be recruited to stay dead even. Your National NEEDS you to “move on up” to keep the replacement drones rolling in. A typical newbie will give 3 months to 2 years. It is expected that she will wash out, so nobody is that concerned with attrition. It’s a numbers game, ladies! We need the numbers! (Also a Mary Kayism). Back in the day, I am sure Mary Kay Ash expected women to be more ethical, with abuses at a minimum, but she also expected that you would average 2 recruits a month and hold 5 to 10 classes a week. With all that activity, she STILL knew about attrition! Imagine the financial wreckage of holding only 5 classes a MONTH, and still losing personnel at the same rate! More than 50 years later, the grim reality is that customers are scarcer than ever before, the reputation of consultants is that of chasing recruits, the product is seen as an average product with high cost, and few women overall think that a Mary Kay party is a new and fresh idea when compared to other ways to spend their time. Will Mary Kay change or accommodate the perceptions of the consumer today? It doesn’t appear so. The company can pretend to the media that they are so on-trend with recruiting the younger generation, but they are still doing things the same way. The sales leadership force still trudges on with the same tired scripts and relies on the tried and true ability of the NSD’s “I-story”, told by a savvy National, to snare and trap their prey. Why change what works? They aren’t interested in consultant sales to consumers. You’re also asking yourself how the founder of a big cosmetics company ends up doing her makeup that way, aren’t you? Oh, and those horrible wigs she wore that only Dolly Parton could ever pull off! Not one member of my family or their friends ever wore wigs in the 60s or 70s. I would’ve been so,put off by that sight if she’d approached me! Dolly’s wigs and makeup are much classier! Scrolling through TV guide and a CBS show “Pink Collar Crimes” comes up. I thought it was about Mary Kay! Anyway, this particular show is about Jackpot Jackie who is wearing this hideous wig and a swindler. Oh the irony. 50 years ago people smoked cigarettes unaware of the dangers. That doesn’t mean it was safe back then. It was always bad. 50 years ago children were not in car seats and adults didn’t wear seatbelts. That doesn’t mean it wasn’t dangerous then. We ARE more knowledgeable now – thanks in part to the internet and sites like this. Mary Kay can’t change unless they stop being an MLMing company. Think of it this way. How does one change: stealing, drowning, killing, dying. You can’t unless you don’t do it. Anyone in doubt about whether MK is an MLM? MLMing has the option to do endless chain recruiting. Ask yourself if MK offers, or worse and more telling, encourages this. It’s scary simple. You mean I can fly out the window without a seatbelt, and all I have to do is buckle up? Gee, why didn’t I think about that before? I’ll tell you what folks. When that MLM lightbulb comes on, it becomes so frustratingly obvious – and easy to understand what a scam it is. As a therapist (My dream JOB, by the way, Kaybots), when someone comes to me to talk about regret, I am a firm believer in, “when you know better, do better.” You don’t have to keep doing something just because it’s the way it’s always been done! Once you realize you’re not getting what you were promised out of MK, you get to make a change! If you didn’t see the American Greed TelexFree episode about a MLM that was prosecuted in the US, find it and watch. It’s on demand now and it’s sickening. Like all MLM it’s sad who they prey upon. Those who can least afford to lose – the single mom’s, the immigrants, those who really think ‘this is my ticket out’ of a bad situation. I watched it last night and thought how many of those same tactics Mary Kay uses to this day. Thanks for that. I actually have a huge problem with the episode as I think it confuses people even further. Yes, it exposes how TelexFree operated, but the AG also says there is legal MLM like Amway. That just pisses me off. OMG, might as well have said Mary Kay. Sure, stealing a million dollars is worse than stealing a thousand, but stealing is stealing – and MLMing is MLMing. Which MLMing companies are legal? – The ones that haven’t been exposed yet! “Legal MLM” is an oxymoron. If people recognized MLMing as the crime and the thing to avoid, they would have never given their money to TelexFree – an MLM. I agree with you on that point. I still think it’s a cautionary tale for people. I cringed when he said legal MLM and used amway as an example. He sighted having a product made it legitimate.This episode stated they also had a ‘product’, the calling cards, but no one was buying or using them. Sound familiar? Stockpiles of makeup in basements and garages. If nothing else it is a shot across the bow. Yes, Mary Kay is the one who set the company up and knew exactly what she was doing. I was a consutalt in the late 80’s and all the front loading and over recruiting was going on then. You just didn’t hear about it because there was no internet. I was hustled into $1200 worth of inventory (plus supplies) only to find out a month later that the packaging was getting ready to change. I should have sent my inventory back, but I fell for pleas from my director to never shut the door to MK in case I wanted to come back. I didn’t know her real reason was so she wouldn’t get a chargeback. I sold whatever I could at half off and threw the rest in the dumpster. Felt like a real sucker. But at least Mary Kay didn’t keep getting my hard earned money. I remember my Mother was being pulled into MK, she kept going on and on about what a great product MK was, and if she was selling, she would save money on her makeup. I was purchasing my makeup at the pharmacy, and we compared makeup and cost. She decided to buy her stuff at CVS as well. We read an article about makeup, and which items were exactly the same, with higher markup, due to packaging. The goal to lure my Mother was to save money on makeup. And MK was the best makeup.